Ross trained for 3 years at the Wilkes Academy where he performed at Soccer Aid, Move IT and in Aladdin in Aylesbury. He also completed projects for Dancers Inc in Electric Dream and their latest film The Arc Of Nirvana. 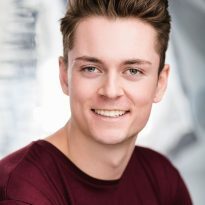 In addition, he was part of the NYMT company in the role of dance captain for 2 seasons in Prodigy (the Other Palace) and Brass (Hackney Empire). He has just completed the role of lead singer for Aida cruise lines first ever world tour and is now excited to start his first Uk tour with the Cast of Hairspray.